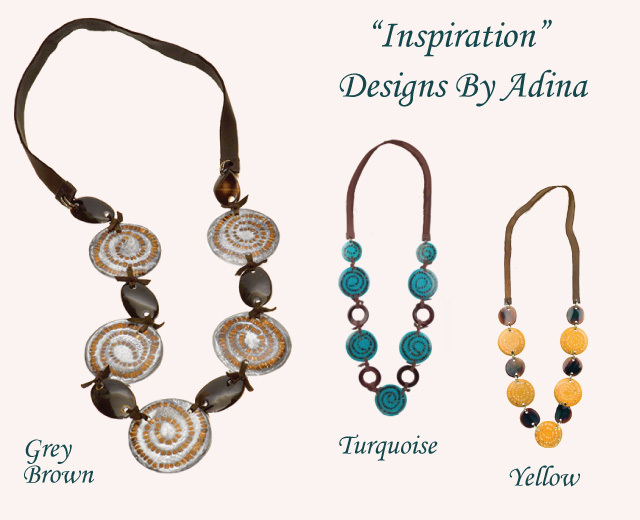 View Lyndsey’s website and portfolio at: http://www.lyndseyariel.com. 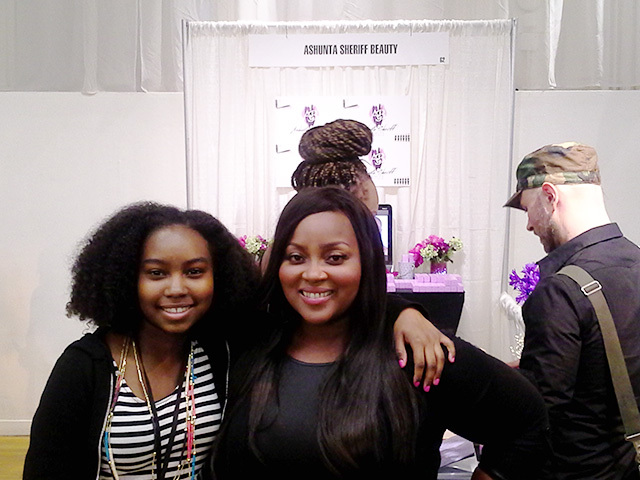 Learn more about her glam team at: http://www.socialiteforanight.com. Lyndsey can also be reached at: 904-651-5258. 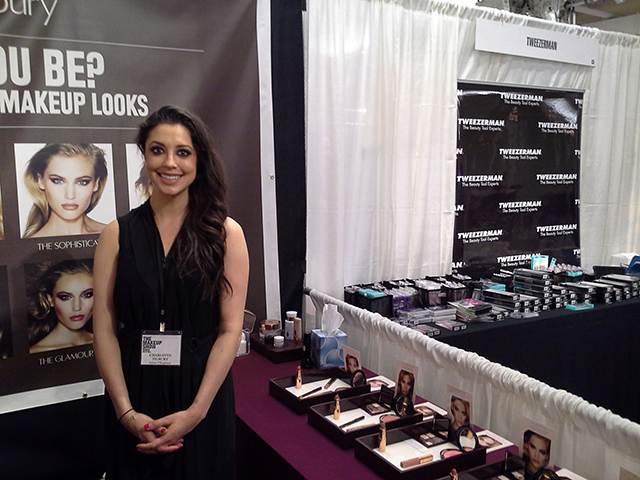 The MakeUp Show, May 4th and 5th, is one of the most exciting events of the year for industry pros. 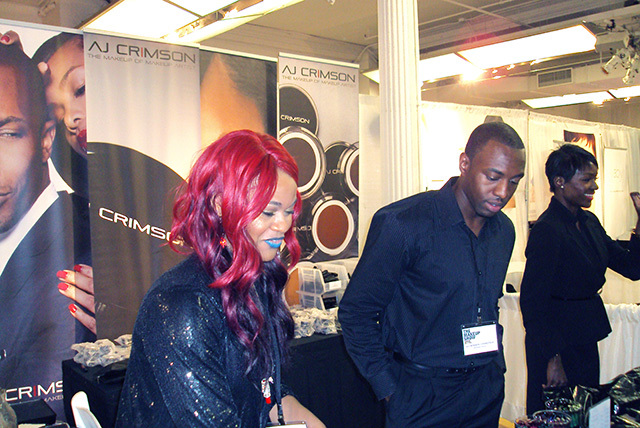 It’s an opportunity to make connections, see the latest innovations in beauty, and buy products at event prices. 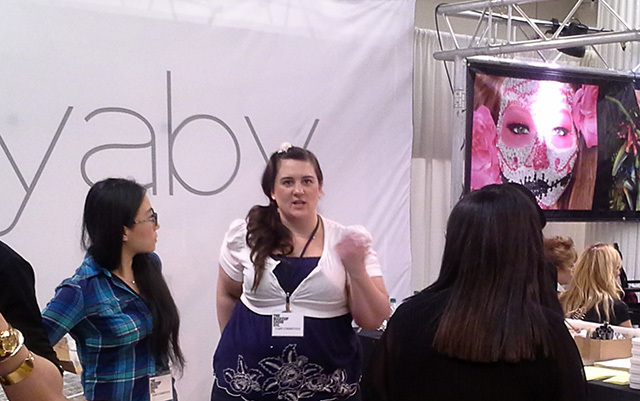 There are also many seminars on the latest makeup techniques by veteran artists. There’s lots of energy and lots of excitement. Yeah!! 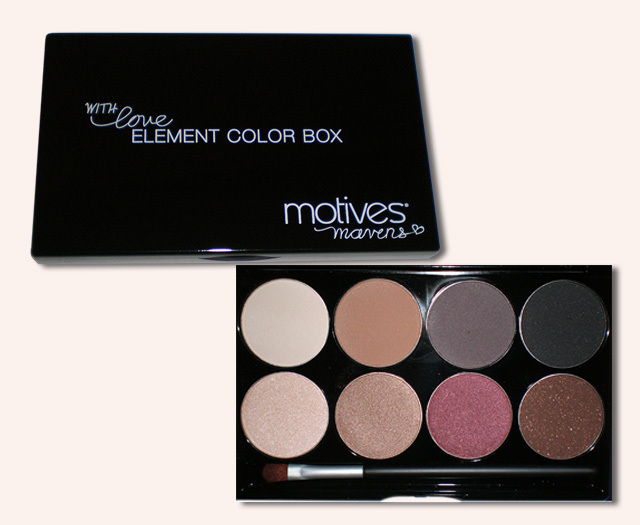 Motives! 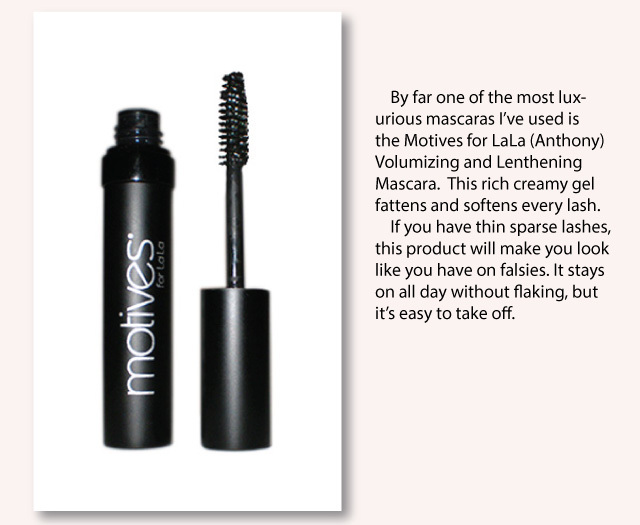 Motives! 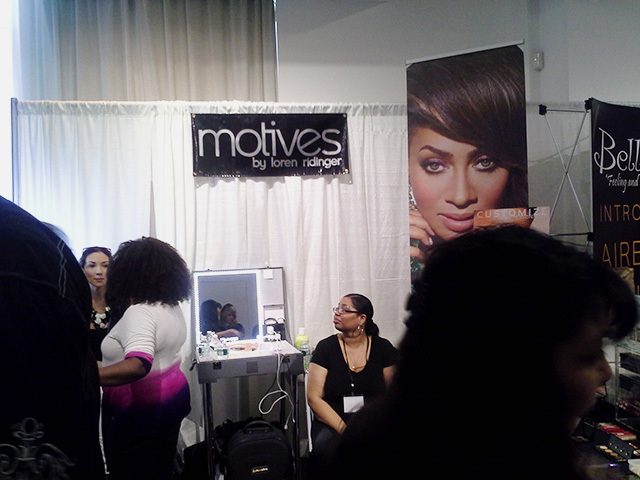 – As you know by now, I’m also a Motives Consultant, so it was so exciting to see us at this makeup event. We are the hottest social media brand! 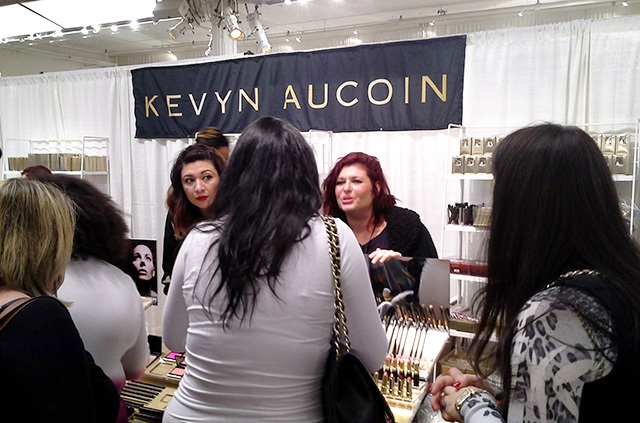 Auraline Beauty private label cosmetics – if you are developing your own label, check out Auraline. 2 colors: one end is foundation and the other end is for highlighting. Aloe Vera is a key ingredient! 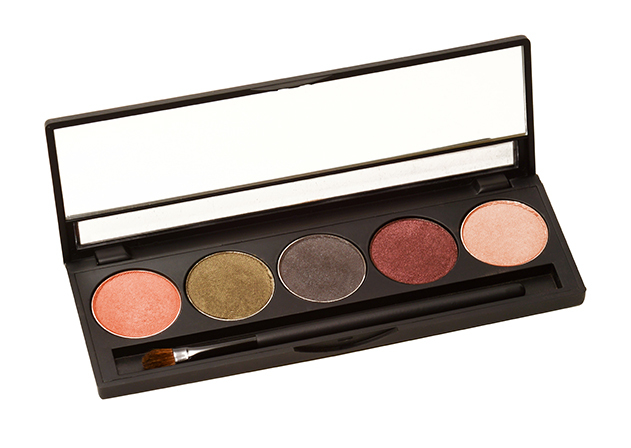 Beautiful colors and skin friendly. Very nice family by the way! 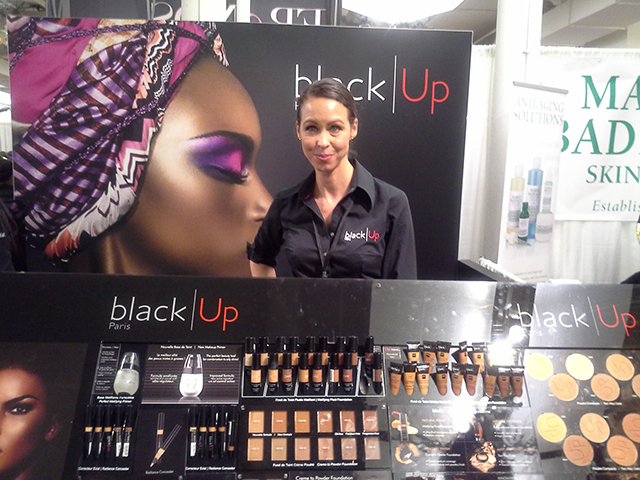 BlackUp Cosmetics – I was so excited to see Parisian brand BlackUp Cosmetics here this year. 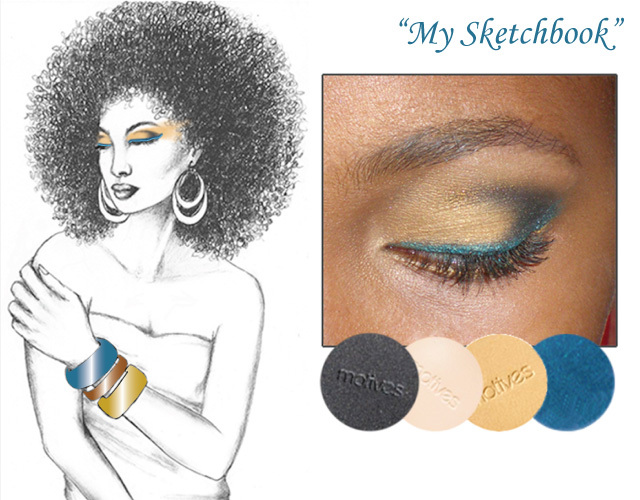 The colors are just amazing for darker skin. The brand’s presentation and quality is so beautiful. 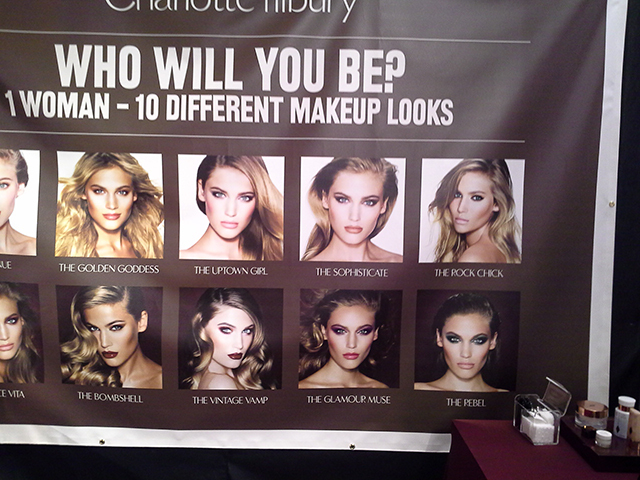 Charlotte Tilbury – Sorry, the name got a little cut off at the top! As you can see in the top photo, this line features 10 specific looks put together in kits. 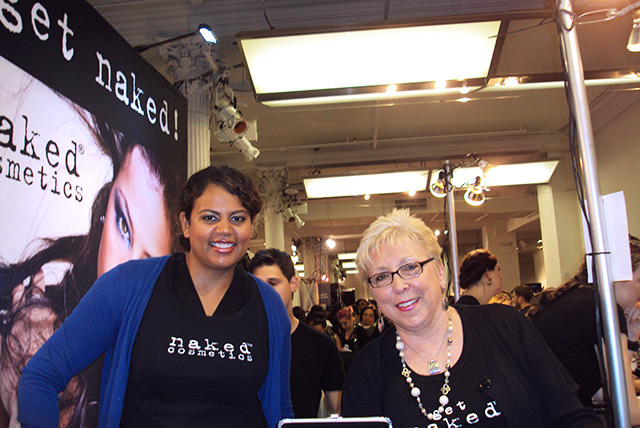 This is Anna and she was amazing at showing me the line and some of their best products, such as “Charlotte’s Plumper Cream” and an instant illuminator called “Wonder Glow”. 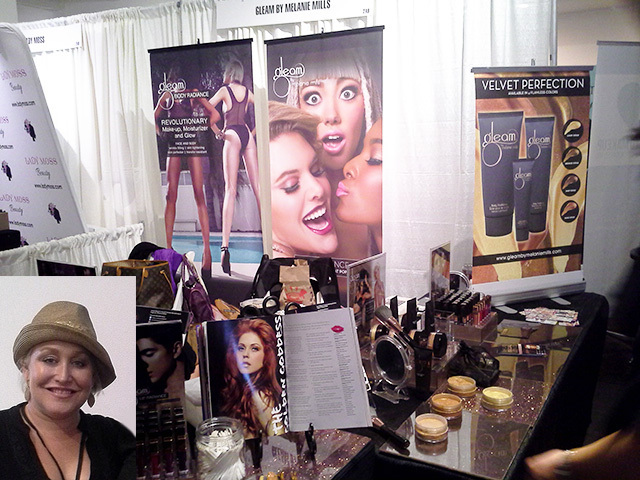 Charlotte Tilbury is featured at Bergdorf’s. senior director. 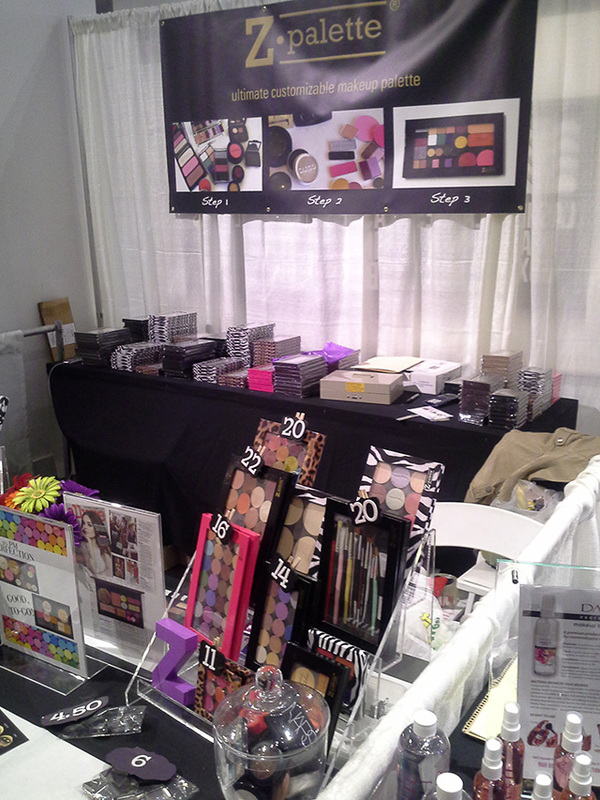 If you’re looking for makeup training, check them out at: http://www.chicstudionyc.com. 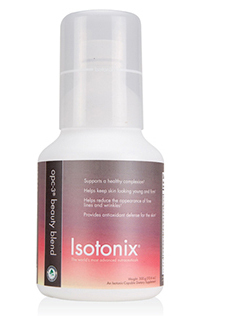 an invisible powderless powder with antioxidant astaxanthin. I bought this and I love it. It works for every skin tone and keeps shine away for hours. 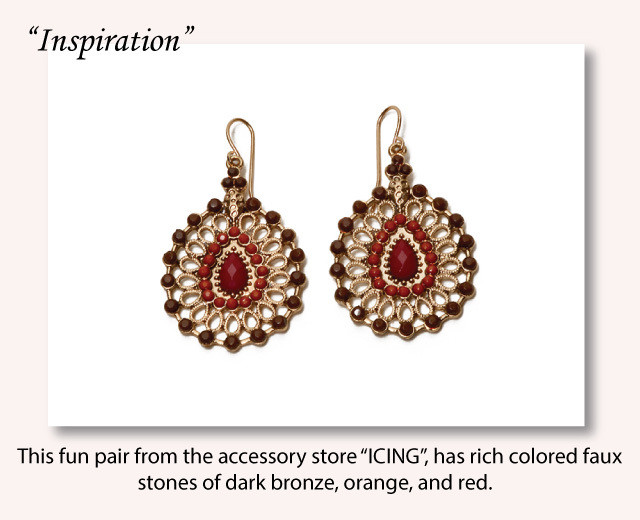 definitely knows a thing or two about glamour! She is super nice and I love her high impact colors and fun personality. booth were so nice and gave me samples (yum!). 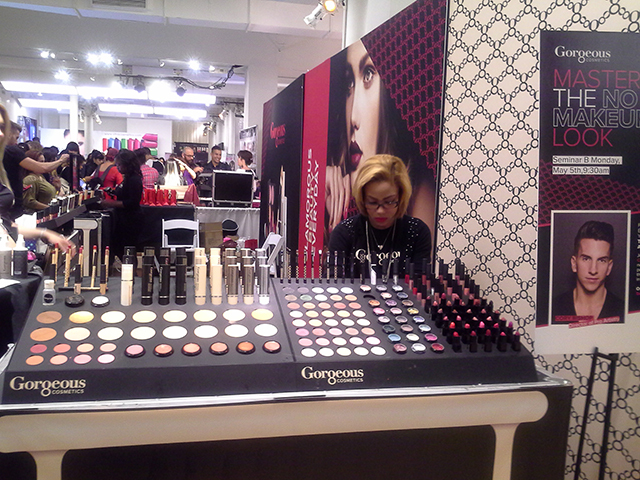 Graftobian Make-Up Co. – Pro line Graftobian features HD and airbrush makeup. Wow! This body painting is amazing. 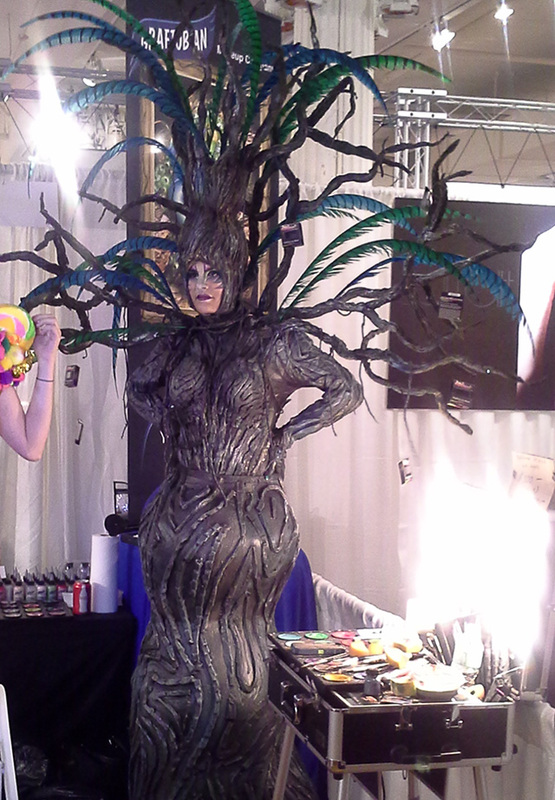 A human……….tree??? I wonder how long this took! 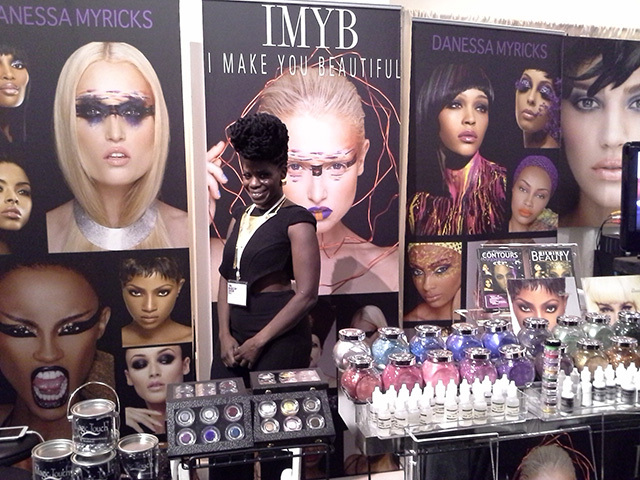 I Make You Beautiful – This wonderful lady is Danessa Myricks of http://www.imakeyoubeautiful.com. I have followed Danessa’s work for quite some time. I have many of her makeup instruction DVDs. I especially like her DVD on Contouring. 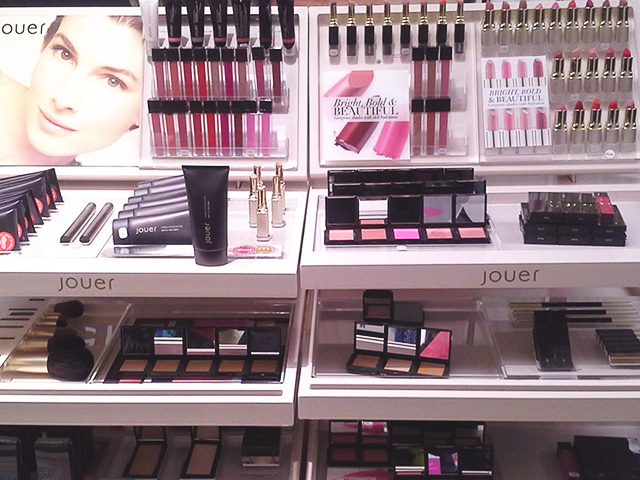 Jouer Cosmetics – Jouer has snap together components to make your own kits of custom colors. Love this. 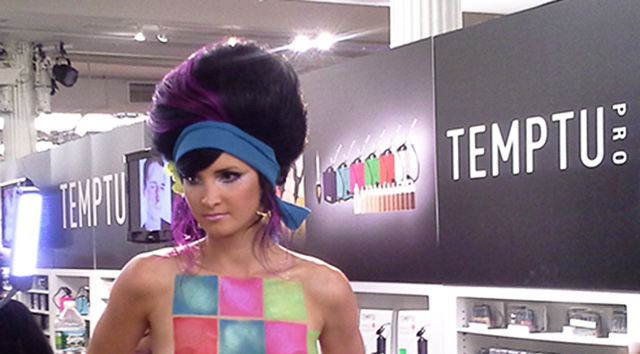 Kett Cosmetics – Wow, beautiful body painting by pro line Kett. 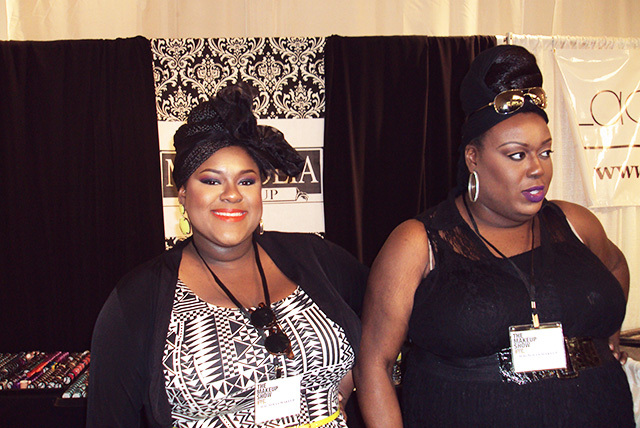 This company also offers makeup classes and is well known for it’s air brush makeup. 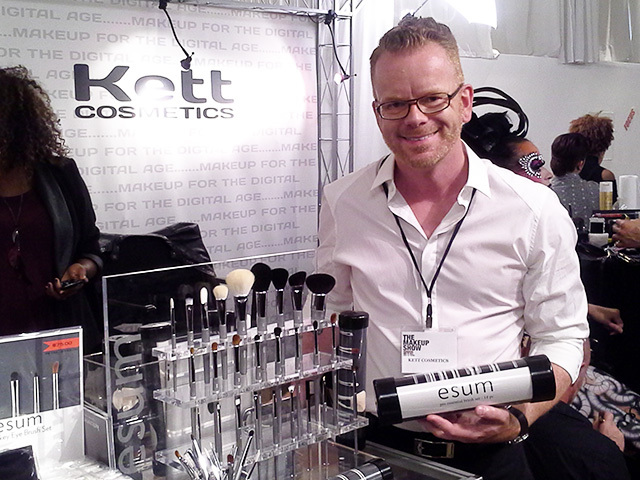 In the above photo, Hermann Sentker, Co-Owner and Founder of Esum shows off the high-quality brush line. 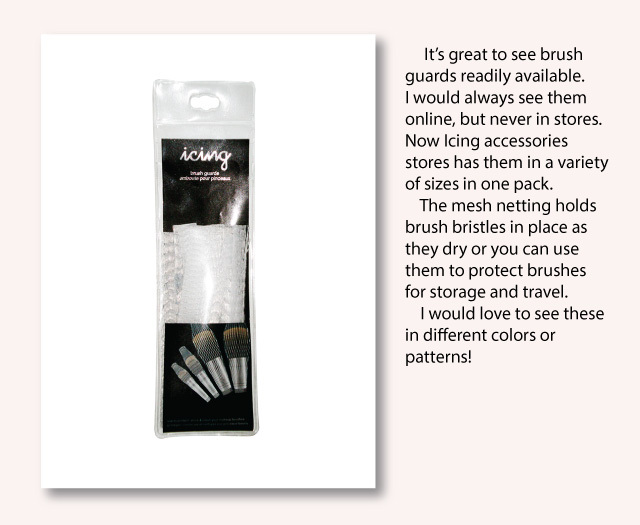 The brushes feature hand pulled bristles! Luxurious. of his makeup books. Just an amazing talent. We all miss Kevin. 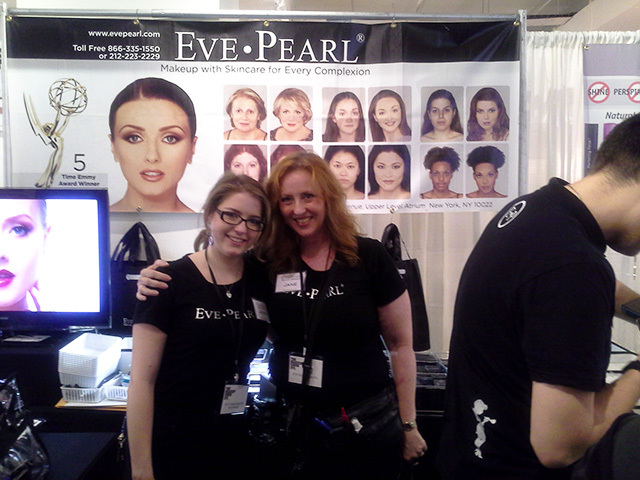 Eva Jane Bunkley – I got a chance to speak with Eva Jane Bunkley at the Alcone booth. 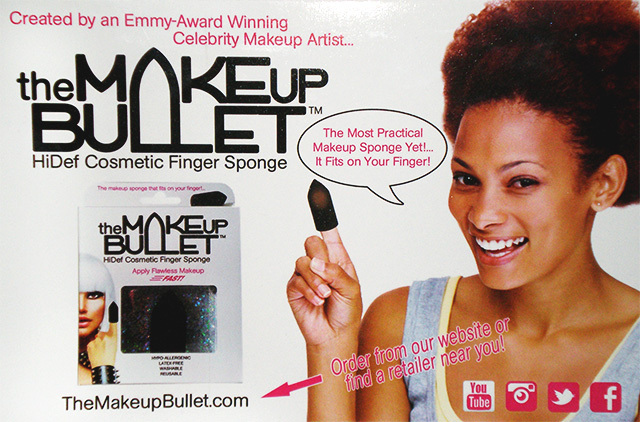 Eva Jane is the creator of “The Makeup Bullet”, a unique sponge that fits over the finger and makes it super easy to blend foundation and makeup in harder to reach areas of the face. 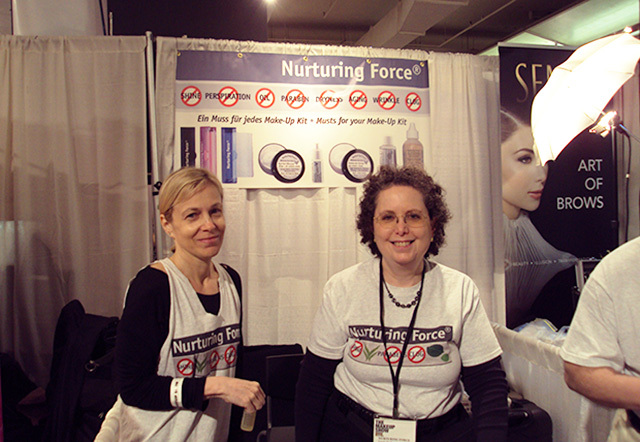 I wish Eva Jane the best with her new innovative product! 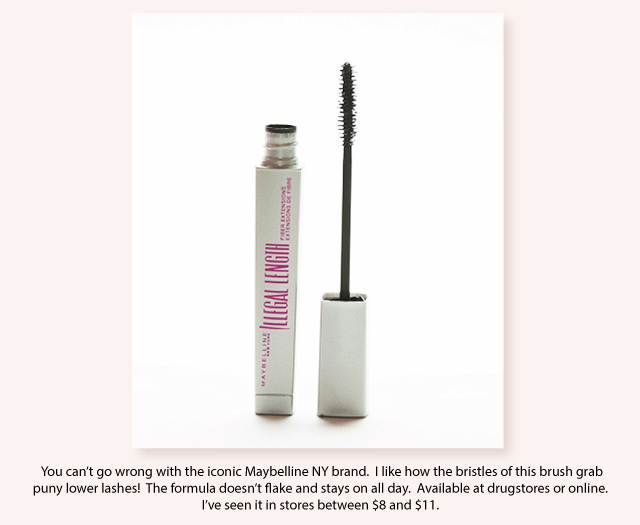 Makeup Forever – We all love Makeup Forever! 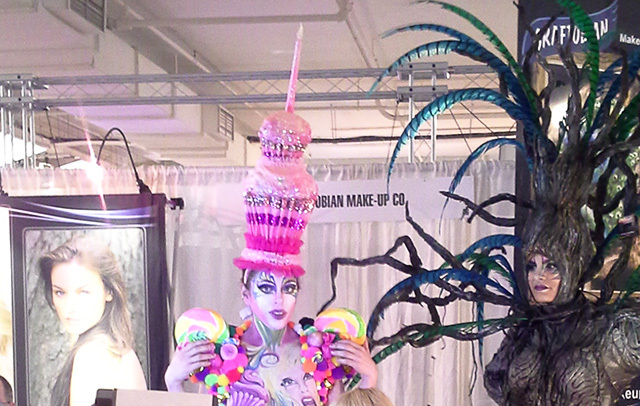 Check out this fabulous body painting. This is so creative and mezmerizing. You just want to keep staring at it. The talented makeup artist: Jha Villanueva. See her work on Instagram: XO_Jha. The beautiful model is Nikiya Palombi. She is also on Instagram: NikiyaPalombi. 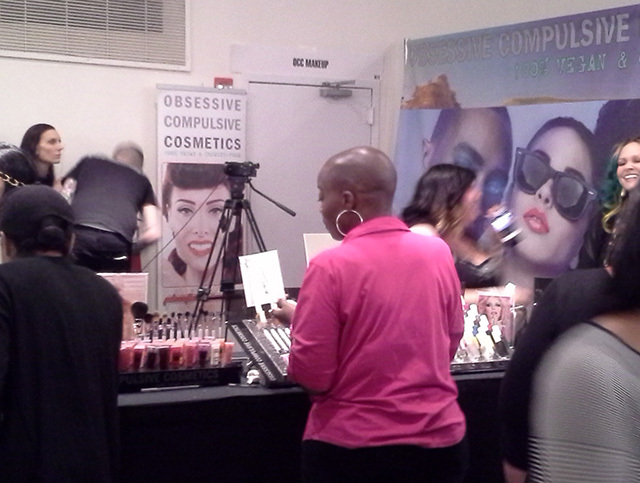 Obsessive Compulsive– A 100% Vegan & cruelty free line. 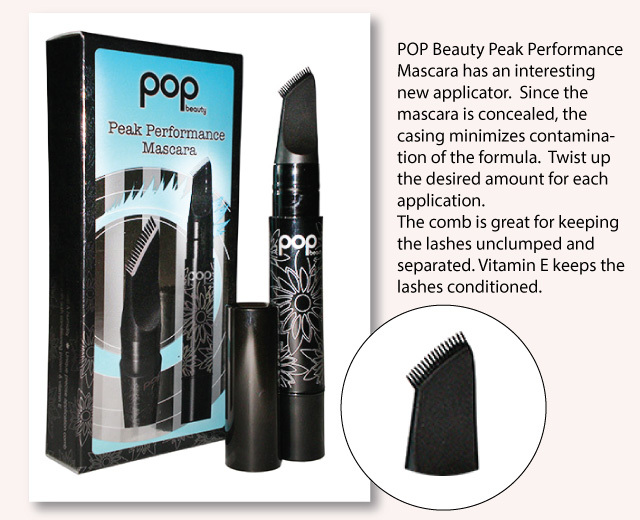 OC started as a pro line but is now available at Sephora! 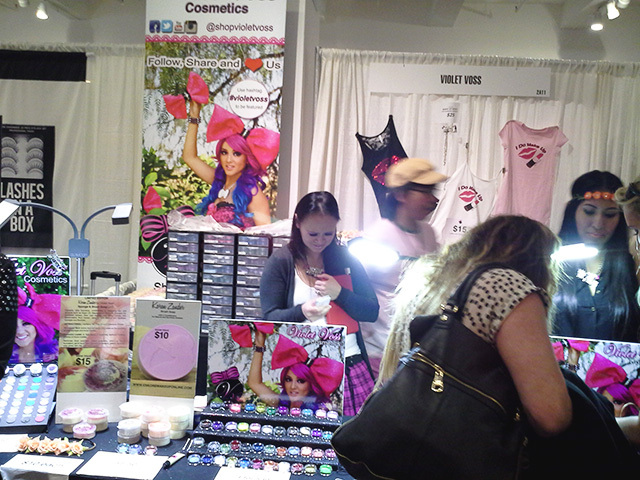 Temptu Pro Cosmetics – Famous for their airbrush makeup, there was some very interesting body painting going on in this booth. 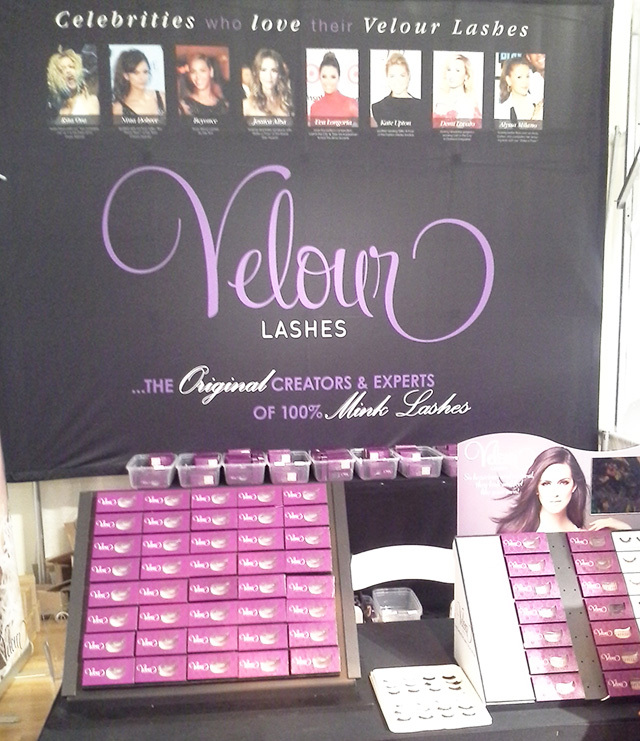 Violet Voss – Fun, colorful, glittery, and did I mention glittery? employed so their kids can remain in school. 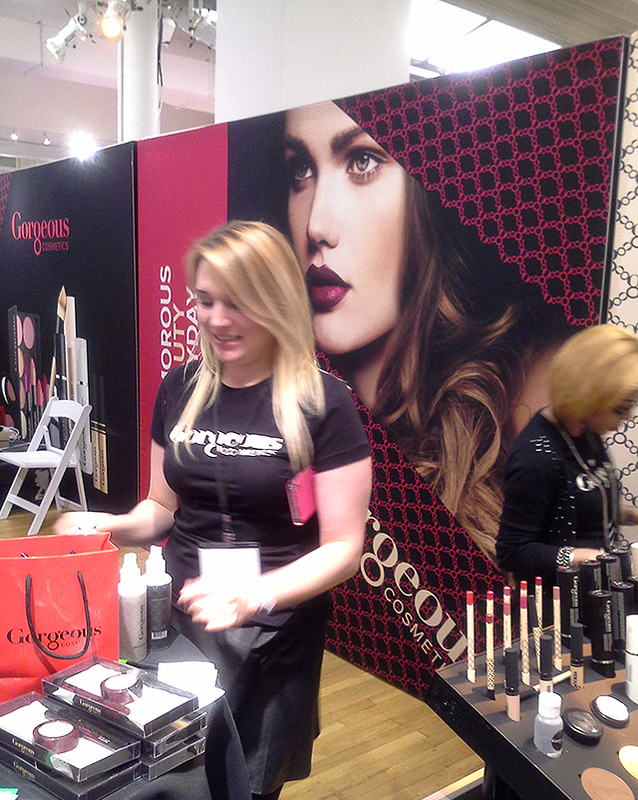 The company also features makeup containers that can be refilled to reduce environmental impact. Can’t help but love that. 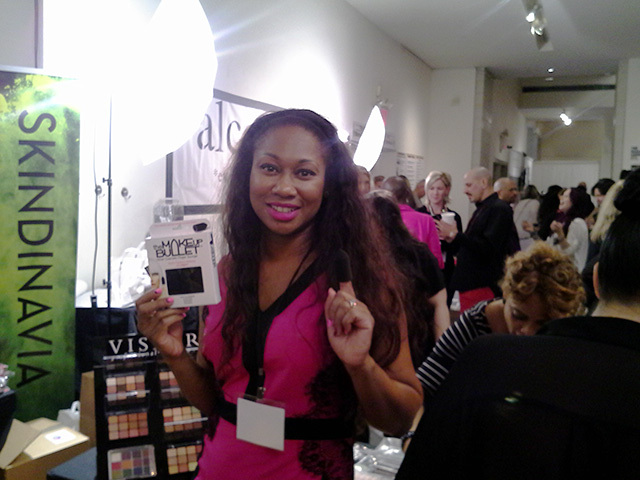 Z-Pallete – One thing I noticed about this year’s show: many companies showcased the magnetic makeup palettes. Z-Pallete has some very cute ones in various shapes, sizes, and patterns. had an amazing time and met some really great and talented people. 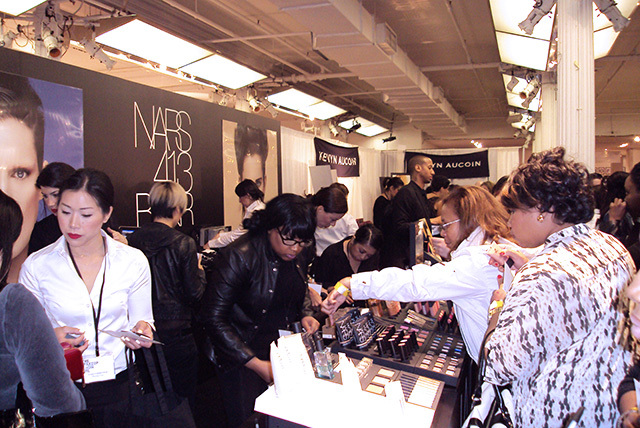 See which city the event travels to next at: http://www.themakeupshow.com. the guesswork out of putting a complete look together. 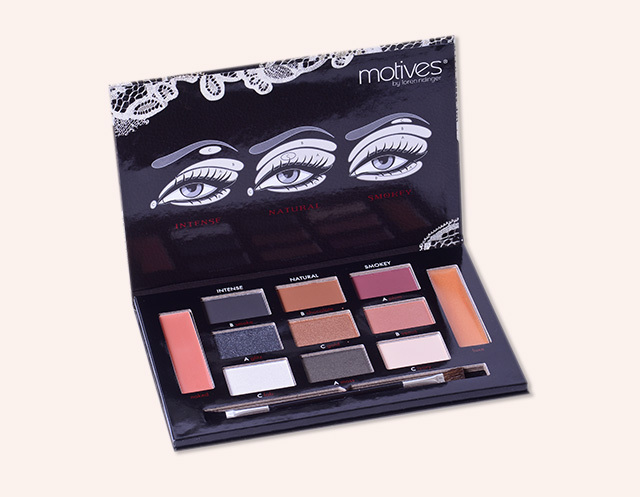 Motives “My Beauty Weapon” kit includes lip glosses and 3 tutorial sketches. 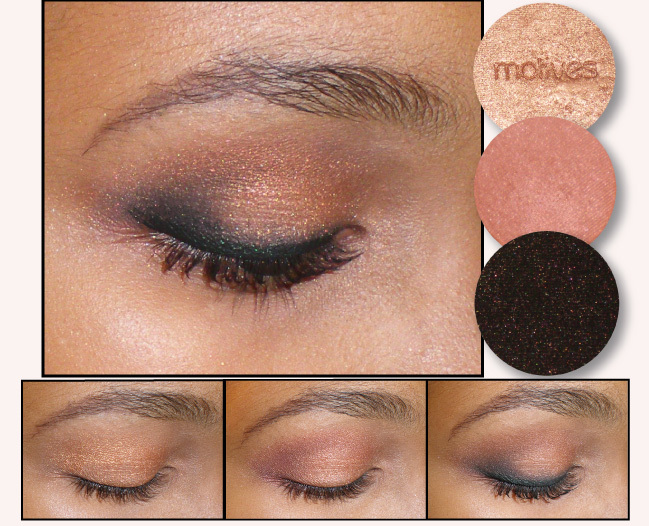 nice for the brow bone without adding shimmer. Peach color used in the above photos is the first color in the palette.